It is growing up with dyslexia. Chambers can speak confidently to an audience of 10,000 people with presidents or prime ministers by his side, but talking about dyslexia still brings up painful childhood memories of kids laughing in class when he tried to read. “I did not intend to ever share the fact that I had a learning disability,” Chambers told me in a candid and revealing interview for his new book, Connecting the Dots. As the CEO of one of the world’s most valuable companies, Chambers didn’t want to signal that he had a weakness of any kind. “I certainly didn’t view it as a strength,” he said. Chambers’ attitude changed during an event for Take Your Children to Work Day. Chambers was speaking to about 500 employees and their kids when a young girl raised her hand to ask a question. She was unable to get the words out and broke down into tears. Chambers walked off the stage to talk to her. She told the powerful CEO that she had dyslexia. “I was immediately transported back to that classroom in West Virginia,” Chambers recalls. “My heart went out to her. When she tearfully stammered that she had a learning disability, I told her that I did, too.” Chambers then told the girl that he used to have problems asking questions. He also explained how he learned to manage dyslexia. Chambers didn’t realize his wireless microphone was still on as he was talking to the girl. He had inadvertenly revealed his secret to the company and the world. He wondered, Had he shared too much? As Chambers began to talk about dyslexia more openly, he realized that what he had perceived as a weakness was actually the source of his greatest strength. 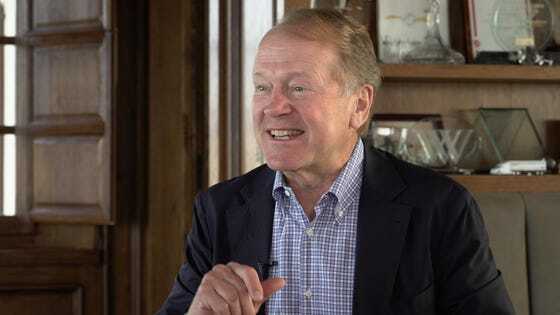 In a world of increasing complexity, his brain was wired to visualize vast amounts of data, draw connections at a faster pace and see around corners that would help Cisco survive and thrive through five significant economic downturns and market transitions. While we discussed the topic, I told Chambers that I struggled with severe ADHD, which often overlaps with dyslexia. Although I performed well in school, it took me eight hours to study for a test that took my peers two hours. I didn’t see it as a strength until I met a Harvard doctor and bestselling author with ADHD. “So you have the gift, too,” he told me. After my conversation with the Harvard doctor, I began to collect books and stories about successful people who had turned the “disorder” into an asset. I read books about Leonardo da Vinci—who psychologists and historians believe had ADHD—and about contemporary heroes like astronaut Scott Kelly who reveals his own struggle with ADHD in his book, Endurance. “It’s through hearing stories of struggle that we become the best version of ourselves,” I told Chambers. Chambers agreed and took it one step further. He said personal stories of overcoming adversity not only inspire, they also help to build trust between leaders and their teams. “The currency of leaders today is wrapped up in three variables: relationships, trust and track record,” Chambers said. Leaders who build trust connect with people on an emotional level. That means really listening to their stories and sharing your stories, too.